Upon reception of your application form, we will issue an invoice that you will receive within a couple of days (* required fields). 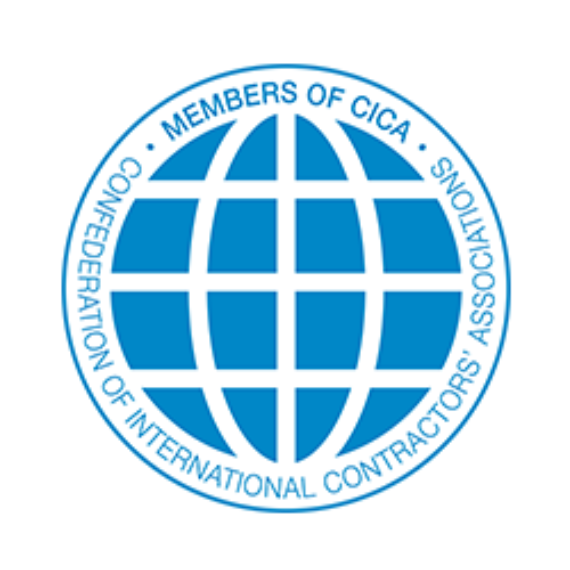 The Confederation of International Contractors’ Associations (CICA) is the world’s largest, most representative organization for the Construction Industry. It gathers and defends worldwide, the concerns of the Construction Industry, which represents 120 Million Employees and more than 7 trillion USD turn-over. CICA has unrivalled authority in promoting rules to improve the conduct of the construction business across borders. CICA’s privileged links with major Intergovernmental Organizations and International Financial Institutions allow CICA to effectively represent the interests of its members for developing and industrialized countries taking into account the interests of both business providers and users.